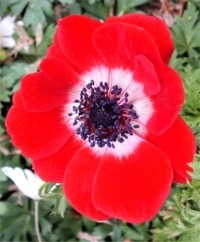 Anemone coronaria. 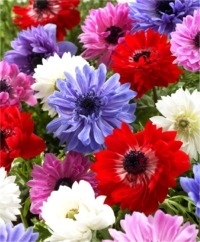 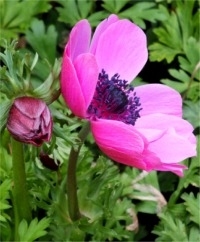 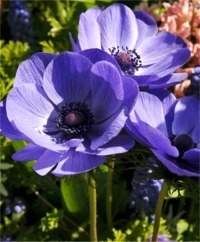 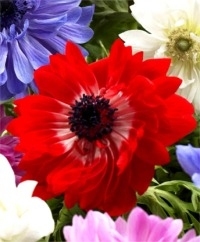 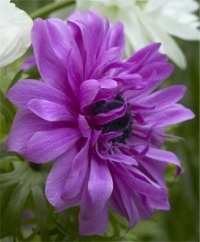 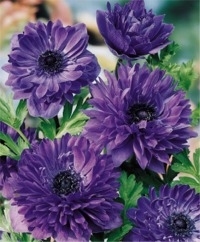 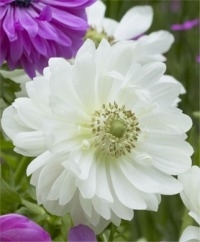 Anemone Giants are long-lasting cut and display flowers growing 12" to 15" tall. 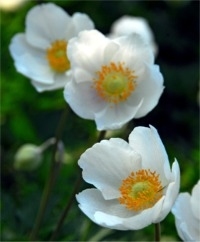 The tender corms may be fall-planted outdoors in HZ 8-10 (mulch is a must in HZ 8). 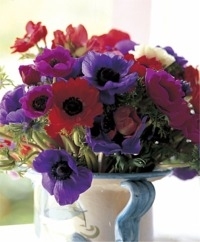 In HZ 3-7, hold the corms over the winter in 60°F, dry conditions and plant them outdoors after any threat of spring frost has passed.